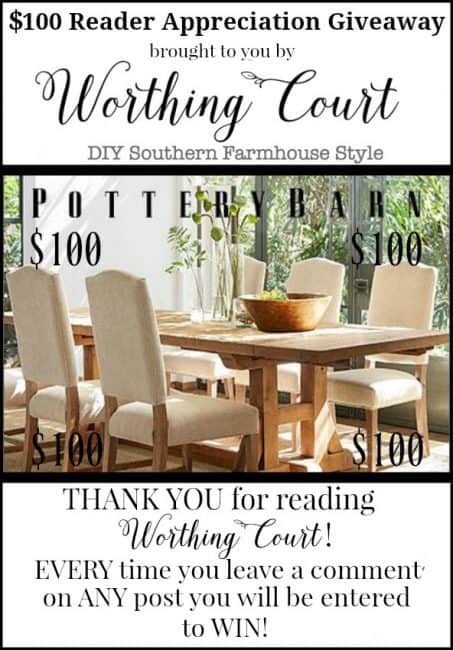 THIS MONTH’S READER APPRECIATION GIVEAWAY IS FOR A $100 POTTERY BARN GIFT CARD! SCROLL TO THE BOTTOM FOR ALL OF THE GIVEAWAY DETAILS. NO PURCHASE NECESSARY! to this! In this photo, the siding on the dormers and on the porch haven’t been painted yet. First, all of the old beat up gutters were removed, then the whole house was power washed and finally, FINALLY, we got paint! There were several rain delays which were no bueno, but the painting is complete now and we are in absolute awe of what a huge difference it has made. New gutters with gutter guards will go up this week, a mix of new and refurbished light fixtures have been hung and new yummy wood slat gliders have been added to the front porch (they’re under that plastic on the front porch). All the details and more to come later, but in the meantime I can tell you that the paint color is Sherwin Williams Network Gray, mixed at 85%. To top all of that off, we purchased the most awesomest in the history of awesome sofa swing for a our screened in back porch! Happy birthday to me! Naturally, that started the ball rolling for a complete refresh on our porch, so I’ll be sharing that with you soon too. Just have a couple of more projects I’m trying to figure out. Let’s take a look back at some of the highlights here at Worthing Court from May. Just click on the title above the image to see more! I’m so thankful to have all of you follow along with thIS crazy journey of ours. I hope that somewhere along the way, I’m able to you inspire and help you to create “home” no matter where you live! Beautiful home. Looking forward to your next projects. Lots of inspiring ideas. Love the change! Can’t wait to see what you will share next. Enjoy your day. Wow! The grey is fantastic! I love it! Beautiful transformation. Looks like a new home. Great update to the exterior! Looks amazing with the grey brick! to see more people take the plunge and paint them like this. Love the new look to your home. Looking forward to seeing the porch. Y’all have been busy! Dear Gussie y’all are brave!! Once that brick gets painted there is no way of going back. I admire your courage and Pookie’s willingness to step out of his “man box.” I can’t imagine my husband EVER painting brick or good wood furniture. Hats off and it’s looks magnificent!! How exciting! Love the changes. Thanks for sharing. What a huge difference . – can’t wait to see the porch swing bed. 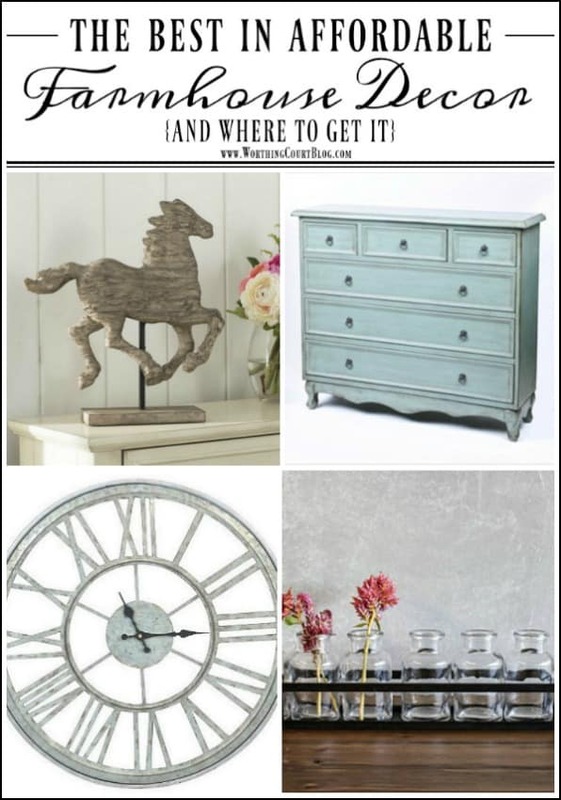 Love the new look of your home! Looking forward to seeing it again with your porch furniture in place. Your house looks beautiful either way!Loved painted or not painted! Love it – stunning – the house looks larger as a result too! Love your new paint color. It is beautiful! I can’t believe how different your home looks! The paint made such a difference!! Wow – I am amazed at the power of paint. Beautiful Job! Love the grey. It looks fabulous! Oh! I love the gray you chose for your house. It looks great! Lovely home. Enjoyed looking at your beach condo. I was wondering where it’s located. I live on the panhandle of Florida. Hi Jan. I’ve never visited the FL panhandle, but hope to one day! Our beach condo is located on Topsail Island in NC. I love Topsail Island…. It’s my favorite place to go to the beach… I live close to Raleigh. I have been following your blog and you give me so many ideas. Thank you. Your house looked great before and it looks great now too. I love the gray. My house is gray too, and I think it is a good choice. It would be hard to make the decision to paint brick, but sometimes that is what is needed. I think the paint took your house from classic and traditional to current and updated. Love it! Love the look of your “new” house. Nothing more uplifting then a new color to look at. What a transformation. Enjoy keeping up with the blog weekly! Oh the gray paint looks awesome!! I can’t wait to come see it! I started to drive by for a peek last week when I was near your neighborhood but was short on time. We need to catch up!……I thought you sold the condo??? Maybe we can get together the last week in June. BTW…just realized all your email notifications (and others) started going to my junk folder….I guess when I was out of the country??? But hopefully I’ll get the email notifications again now. So glad you like it! 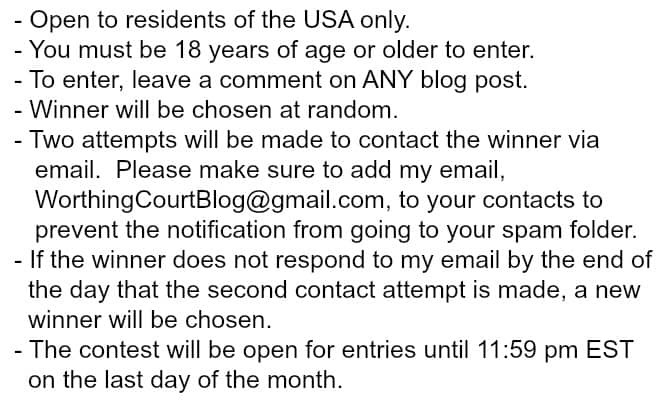 I changed the address that the notifications come from from my name to WorthingCourt Blog, so that’s probably why the emails started going to your junk folder. We had FOUR offers on the condo, but all of them either fell through right before closing or we turned them down. Ultimately, we decided that the Lord was trying to tell us something, so we’ve decided to keep it and look for a larger place. 😀 Yes – let’s pick a date – my summer is filling up fast!!! It’s amazing what a simple coat of paint can do. Your home was lovely, but now it looks fresh and even more lovely. Where do you get the energy for all you do!! The new paint job on the house looks great…what a difference! This is absolutely lovely! What a little paint and lots of hard work can accomplish, huh? Love the new color! Can’t wait to see the other changes. I love your new painted brick! Can’t wait to read how you decorate your front and back porches. Wow, looks like a new roof, new landscaping, new pillars! An amazing transformation; can’t wait for all the details! Your house looks great! It’s amazing what new paint can do! All the new stuff looks good too! Just love your blog, enjoy everything, you do fantastic work and enspires me to try some of the projects. Wow, your home looks fabulous! It was super charming before, but what a show stopper now! Nice up date on the outside of your home. We did that a few years ago and what a difference! Love it!! Can’t wait to see what’s next. Love the updates on your home! Love your home and your style! Thank you for the opportunity to win this giveaway. WOW! What a great giveawy. Your home looks great! Love the paint colors! Love, LOVE the gray paint on your house!! It looks wonderful! Simply Stunning! You have great taste and transformed the house into a 10. We recently bought a fixer upper & were just about done in the inside. You have given me ideas for my outside. I plan to add railings and enclose it a bit. I just love your beautiful home. Thank you for the inspiration you’ve provided me. Re habing a house can be tough but power through because the end results are amazing. Thank you for the tour of your beautiful town home! Oh my gosh, I love the new paint color! It looks like you have a different house!! Great choices. OMGosh! Your home looks like a million bucks , Beautiful color grey … esp. when there are so many … ! I love the painted brick and would like to do the same to our home, but convincing the hubby is a different matter!! Love the new color and the painted brick! It’s amazing what paint can do. Can’t wait to see the beach redo! 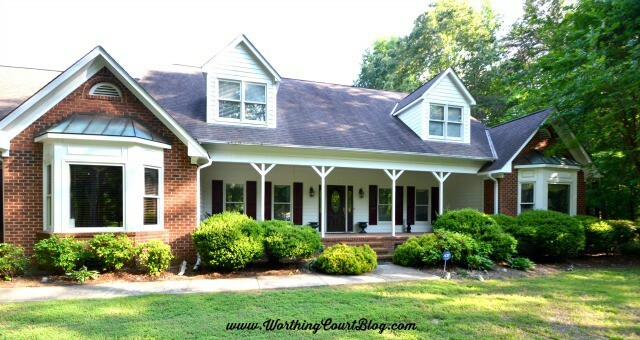 Love the exterior paint and look of your home-sure does look fresh! I enjoy your posts and love your style. Thank you. Love the brick painted gray! Enjoy your blog a lot! My home is a pink brick with white trim and black shutters. 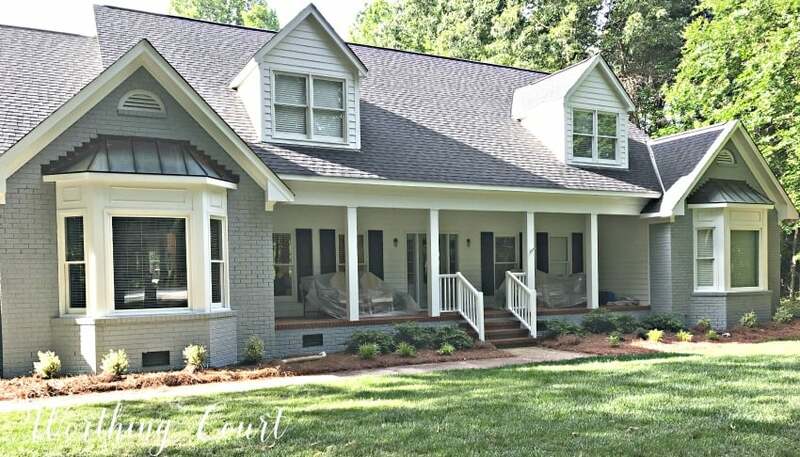 I love the exterior transformation to gray ! I look forward to your blog emails, so much! It looks amazing – what a change! So pretty! Love the color change! And the new landscaping. Made all the difference in the world. I love the new look! It’s way better, and looks so fresh and inviting! Love reading your blog and getting inspired! One of my very favorite blogs for its beautiful home full of decorating inspiration! Thank you! I love the painted brick. I’m contemplating having ours painted but I’m wondering what I want more a painted house or divorce….my husband would kill me!!! Love the color on your house!!! Love the new color and columns. Looks awesome! Great color choice for the exterior! Can’t wait to see more! I agree, WOW! Paint really does change things. It looks beautiful! Your new house color looks amazing! Looking forward to seeing what’s you do next! My home is brick and I just could. Never paint it. We opted for Rick because of the re is very little upkeep required. Your house looks great and I will be interested to see how well it withstands time as far as maintenance. Hi Suzy, Your home is so gorgeous. Love the new outside paint. Such a BRAVE decision. Incredible result!!! Jane G. Makes me want to start another project. Thanks for all the great ideas. Love the updates to your beach condo bathroom! So cute! What fun to redecorate your beach condo. What a difference that lovely shade of grey has made to the house! Thanks for posting a review of all your summer posts! 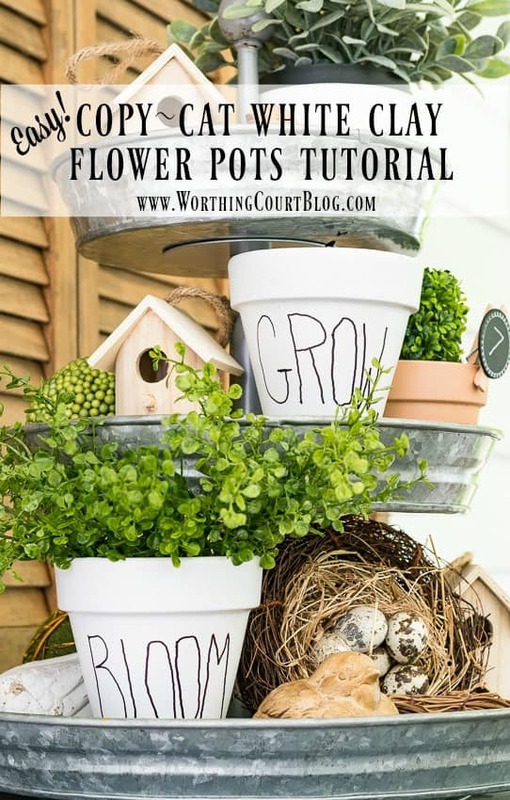 I love the painted look–alike pots! They will look great on my patio. Love the color of the painted brick. Love the gray & white paint. So clean and fresh. Looking forward to seeing your updated porch. Silly me, I left my initial comment on one of your earlier posts. I really enjoy this blog…I need to stop binge-reading it and go to bed! Thanks for this giveaway! Love the new exterior house paint color!☺ Thanks for continuing to share your vision. God bless. The new gray paint color looks so good. What a difference! Thanks for the wonderful pictures. Wow! What a difference a coat of paint makes in updating your home. It looks fantastic. Love the stair railing too. Looking forward to the porch reveal. Love it! I love your work. I’m a true farmhouse kind of girl. Love the gray and white paint color. Can’t wait to see the finished pics! Lovely transition. The change-out of shrubs really helped to showcase the house’s new clean look. Love the house! Love your easy DIY ideas. I have made so many. Can’t wait to see the back porch! Ooooh your pictures make me antsy! Our house is in shambles having all our floors replaced. Everything is everywhere it doesn’t belong. I am excited to pair down and redecorate. Love the stairs, and landscaping, great job! Love the new color and the stairs. I’m looking forward to seeing the other changes. This blog is so fun to watch! Love the exterior changes to your home! Love this blog! Love the color you painted your house, such a wonderful difference. Love the update on the exterior of your home. You have wonderful taste in design, yours is one of the blogs I can’t wait to look at. I LOVE your style! Everything in your home is so beautifully decorated and I try to copy you whenever I can. Enjoy your posts so much. I ordered the bicycle pillow from Walmart and I love it! Love the blog and read it avidly. 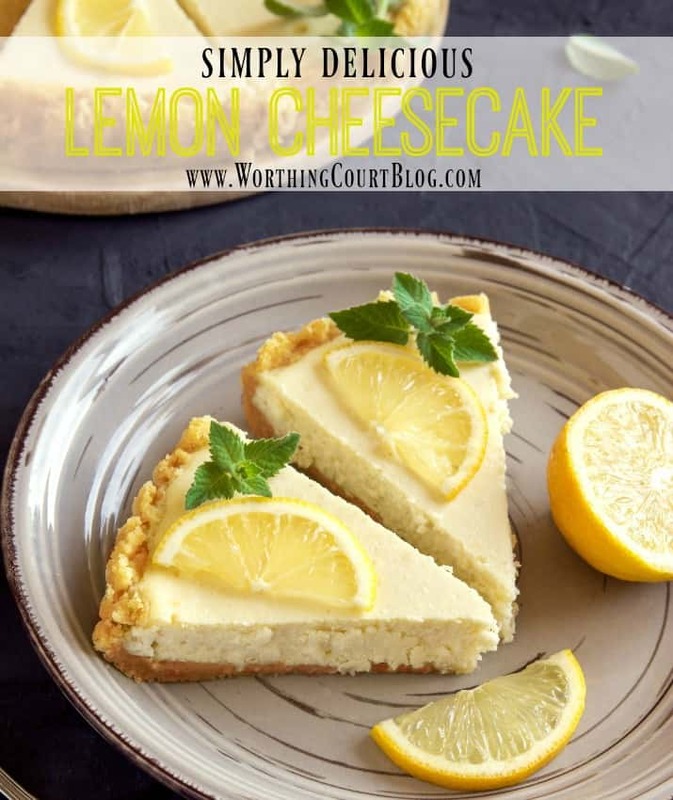 The picture of the Lemon Cheesecake looks so delicious! Can’t wait to try it. The grey suits your home perfectly, and I am very envious of your porch! Love it! Looks nice and fresh. I never thought of painting brick. Everything looks so fresh and welcoming. Great job. What a transformation! The exterior looks so ‘fresh’. Love the color! Love the redo on the front of the house! Thank you for another giveaway opportunity. Stumbled upon your blog today, can’t wait to read more!! Love the house pics!! It turned out great! 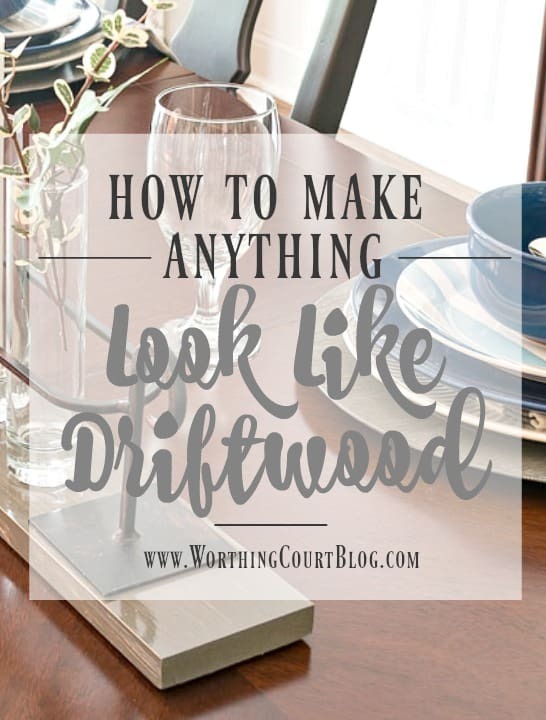 This month I especially loved the post on how to make anything look like driftwood .. Your home is taking on a fresh and wonderful look. I love the exterior paint. How fun to switch things up. Have recently discovered and signed up to receive your blog! 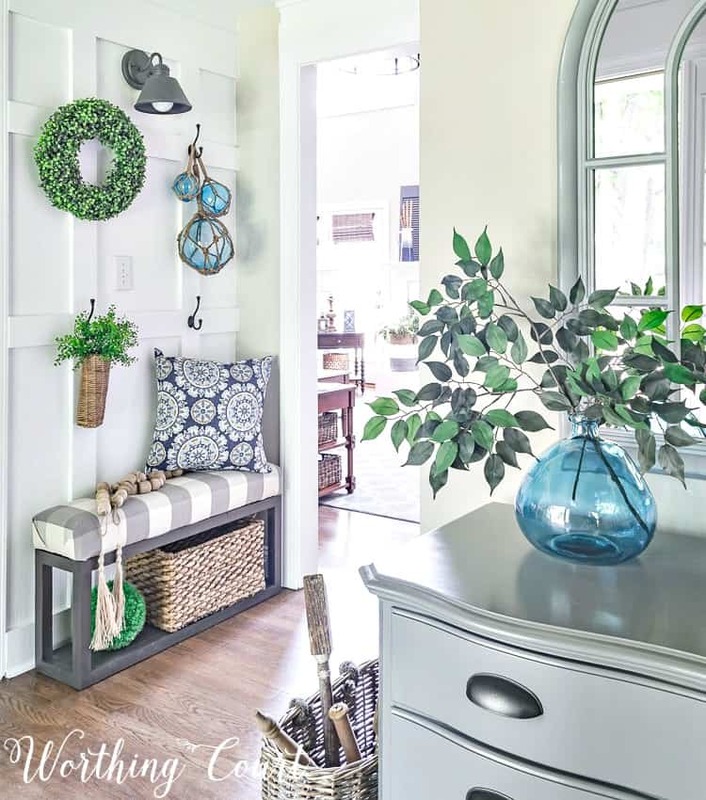 I love all your farmhouse decorating style. It certainly speaks to me. My home is also gray and has been since it was built 30 years ago, but it took three paintings to get the right shade of gray. Now I love it. Since it is a farmhouse it probably should be white, but I love the gray. Your house is absolutely amazing! Thanks for the chance to win this amazing giveaway!! Maybe I can buy some nice stuff for my house! New fan found u about a month ago! I love the new look of your house and l’m surely showing my daughter so she can use it as inspiration for her new home! Thanks!